Guaranteed to rock. Designed specifically to work with iPod, our integrated BackBeat control switch gives you full control of your iPod from the side pocket of the messenger pack. With its large capacity main compartment and deluxe multi-pocket organizer, our Audible messenger bag lets you stay organized and connected to your music wherever you go. Large capacity zippered main compartment. Convenient, easy-access zippered shoulder strap pocket has a 30-pin connector that is compatible with any iPod (with dock connector); integrated headphone access port. Integrated, backlit switch controls volume, play, pause and track advance. 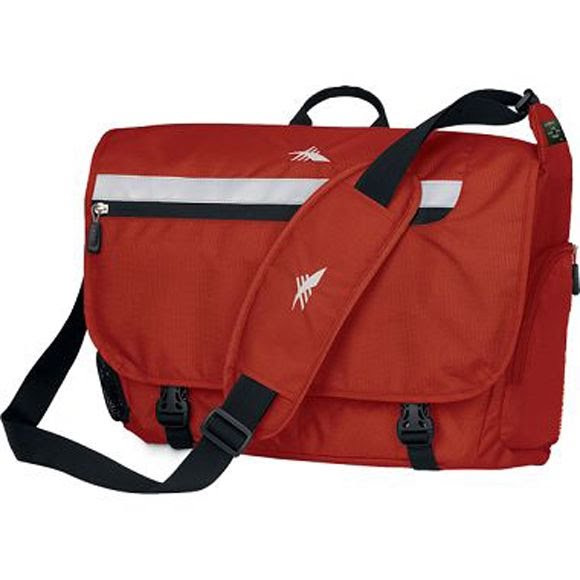 Protective lid, with adjustable straps and hook and loop closure points, has an easy-access zippered slash pocket. Side mesh pocket holds a 1000ml water bottle. Reflective safety strip on the lid.